Comments: Nice release from the Japanese Tarantura label. Comes with fold-out carton cover. 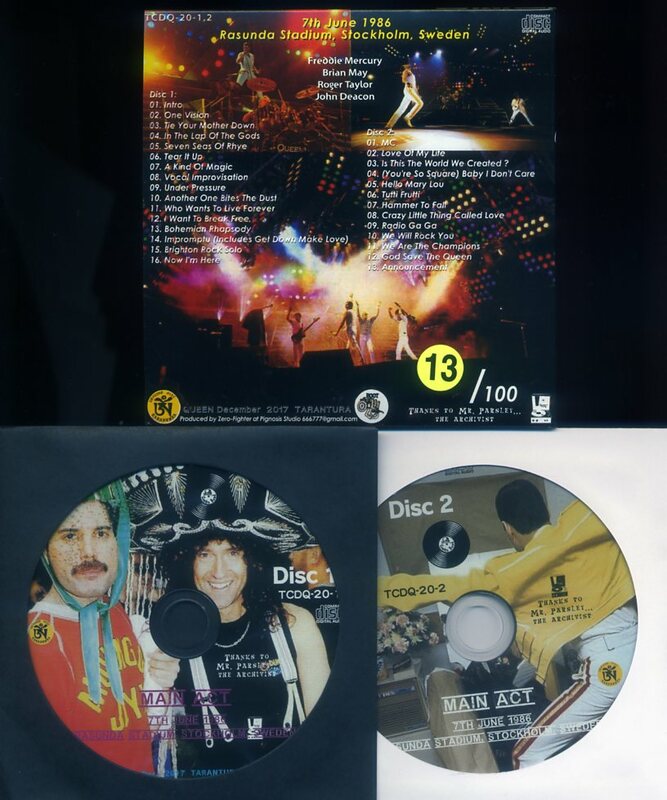 Complete concert from the first gig on the "Magic tour" in 1986. 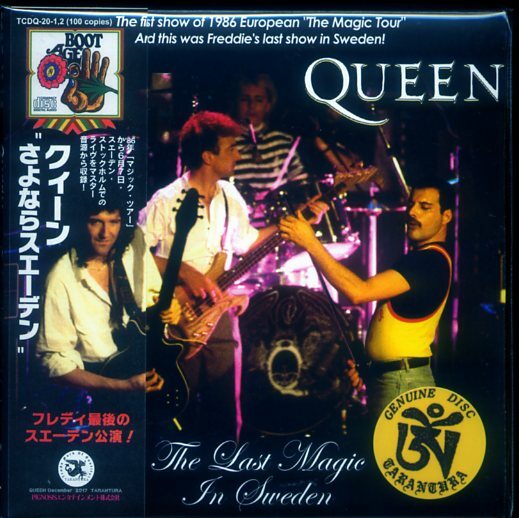 In fact this become the last Queen tour with Freddie. This show has been released on a handful of pro-bootlegs before. I'm not sure yet which source has been used on this bootleg. 03. Is This The World We Created ?